See you all in October. During the Myofascial Release courses that I have taken, a common comparison was made between the fascia in the human body and a tent. I think it is a great example of how Fascia maintains structure, function and stability in the human body. It holds us together and allows us to move and be flexible, yet strong. The function of the skeletal system and the fascial system act like the poles of a tent and the ropes that hold up a tent. The poles are the skeletal system that create the shape of the tent but it is the importance of the tension of the ropes, which are the fascial system of the body, which maintains the integrity and holds the shape of the tent. 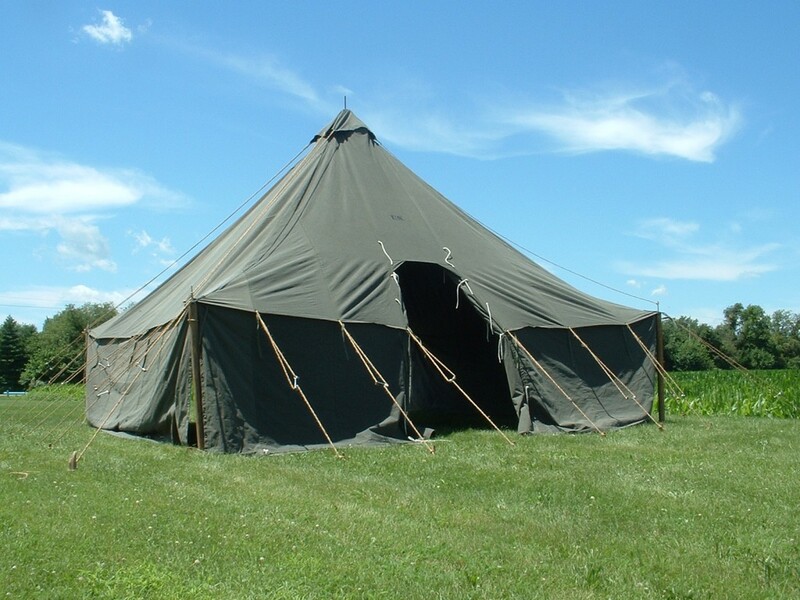 Without the ropes, the tent, even with the poles, will fall over in the presence of an internal or external force. It is the fascia, which allows the tent to hold it’s shape and provide the function. An example of dysfunctional fascia, which may be adhered and/or shortened would be like pulling one of the ropes too tightly. Think of the whole tent being pulled to that side. The same thing can happen with the body which adhered, shortened fascia can pull the body out of it’s center of gravity causing dysfunction, instability, weakness, reduced range of motion and pain. There are various causes of fascia that can become short, dehydrated and dysfunctional. When it comes to shortened fascia, everybody presents differently. It can begin at child birth or be present after even a minimally invasive surgery. It’s finding the fascial restrictions that pull the body out of it’s center of gravity. The philosophy is to find the pain but look for the cause elsewhere as the cause and effect may not be in the same area. As a therapist, I’ve learned to treat without feeling that I know what it happening. There is a process, but I have to learn to be a good listener to find where the cause is. When a person has had surgery, whether it be abdominal, cranial, shoulder, back, hip, knee or any joint surgery, often a neglected portion of the recovery is Myofascial Release of joints and tissues affected by the surgery. Adhesions can occur in the joints or tissues as a result of the surgery itself or the period where the person has to keep themselves, or a portion of their body, immobile during the healing phase immediately after the surgery. I became acutely aware of this necessity after my heart surgery, where I had a heart valve replaced. To do the surgery, they had to cut through my breast bone to access the heart and do the surgery. So for the next month, I had to keep my arms and shoulders pulled forward. I wasn’t able to open up my chest and bring my arms up and stretch them back while the sternum repairs itself. As a result, all the tissues around the front of my chest, my upper abdomen and the front of my neck were put in a shortened position for an extended period of time. All the tissues in the front will become adhered to each other and keep the tissues shortened which dramatically alters the center of gravity with the body and the shoulders and neck/head are pulled in a forward position. This is just a quick example of the effects of immobilization after surgery but doesn’t include the effect of the scar tissue created by the surgery itself. I have seen the same effects with shoulder surgery, back surgery, hip/knee/ankle surgery. A bit portion of the rehab process is the return the joint or body part back to it’s normal mobility with myofascial release and strengthening. A body just wants to move in the manner in which it’s designed to do. That’s the best way to return a body to normal. The techniques are different for scar tissue release, for soft tissue release and for release of tissue surrounding the joints like ligaments, tendons or the capsule that surrounds joint. All can shorten, but all can be returned back to a good functional range of motion. The principals of Myofascial Release are adhered to (pardon the pun) to create an increase of mobility that is gentle, effective and creates a long term effect. Every release will last a while but it’s so important that the patient has a full understanding of how they are presenting and how they can maintain the work that we do at home. It should never be about depepnding on the therapist to “fix” you. We assess the condition, educate, we begin the process to facilitate and allow the patient to help maintain the progress with home exercises. Of the Fascial Release Course I attended, probably one of the most important things I brought home was reiterating the importance of stretching the fascial tissue to it’s stretch barrier and holding it until it lets go. That sometimes the stretch may have to be held for 3-5 minutes. When we complete the fascial release, we want it to stay there. Very often, the question I get from patients is, how do we get it to stay there so it doesn’t bounce back. I can give stretches to do at home to maintain our progress but it’s my job to release the specific fascial adhesions so that the home stretches are effective. To fully understand what fascia is, and what we are working with, we look at what makes up fascia. Fascia in the body is described as: Fascia is a specialized system of the body that has an appearance similar to a spider’s web or a sweater. Fascia is very densely woven, covering and interpenetrating every muscle, bone, nerve, artery and vein, as well as, all of our internal organs including the heart, lungs, brain and spinal cord. The most interesting aspect of the fascial system is that it is not just a system of separate coverings. It is actually one continuous structure that exists from head to toe without interruption. In this way you can begin to see that each part of the entire body is connected to every other part by the fascia, like the yarn in a sweater.Fascia plays an important role in the support and function of our bodies, since it surrounds and attaches to all structures. In the normal healthy state, the fascia is relaxed and wavy in configuration. It has the ability to stretch and move without restriction. When one experiences physical trauma, emotional trauma, scarring, or inflammation, however, the fascia loses its pliability. It becomes tight, restricted, and a source of tension to the rest of the body. Trauma, such as a fall, car accident, whiplash, surgery or just habitual poor posture and repetitive stress injuries has cumulative effects on the body. The changes trauma causes in the fascial system influences comfort and function of our body. Fascial restrictions can exert excessive pressure causing all kinds of symptoms producing pain, headaches or restriction of motion. Fascial restrictions affect our flexibility and stability, and are a determining factor in our ability to withstand stress and perform daily activities. Fascia is comprised mainly of three things: Elastic fibers, Collagen fibers and Ground Substance that surrounds the Elastic and Collagen fibers. With fascial adhesions, it’s the collagen and elastic fibers that become bound to each other, greatly affecting the elasticity of the tissue, affection local movement, where ever that tissue is in the body, as well as movement and function of other areas of the body, as the fascial system is continuous throughout the entire body. As an example, having a fascial restriction in the low back is like wearing a wet suit, leaning back, and having glue poured on the wet suit at your low back, and letting the glue dry. The glue will continue to pull you back and somewhere else in the body will have to compensate for that pull so your are balanced. It’s the systemic response to a local fascial adhesion. Someone once said that releasing Fascia is like cooking stewing beef cubes. You can do it quickly and throw it into a pan on high (hard stretch for short periods) and it will cook but it will still be really tough or you can slow cook it at a lower temperature for a longer period of time and get a much better result (more pliable, elastic tissue as a result). So as I locate a fascial adhesion, I apply a stretch only to the barrier. I could push harder, but I just go to the barrier and wait. During the stretch heat will be created that will warm the tissue, allowing the collagen fibers to stretch. You can feel the tissue slowly softening and elongating over the 3-5 minutes. But you just wait for the tissue to naturally lengthen. By doing this, the tissue will reform under the heat, same as plastic does under heat, and as you let go gently, the tissue will now remain in that lengthened position. Now the patient can go home with specific stretching to maintain that lengthened tissue with any other exercises given for that specific condition that they’ve come in for. It’s taken some trust and open mindedness to adopt this treatment philosophy but I’m so grateful that I did as it has dramatically helped patients with mobility, strength, stability and reduced pain as a result. I heard the perfect analogy for what fascia is in the body, from a structural standpoint. Take a jar and put all sorts of little things in it like golf tees, marbles, string, pencils and fill up the jar with it. Then pour in this liquid, to the brim of the jar, that will set, but remains 70 – 80% liquid (as that is what we are). When this liquid sets, it will also be very structurally strong as well as being fluid. Almost like a super-jello. So now in the jar, you have all those items listed above and poured between those spaces is this liquid that will set. When it sets, you can crack the jar and this structural jello will hold the shape of the jar with all the items listed above set within it. What the items listed above represent are our cells and to a larger scale, things like our bones, nerves, muscles, brain, arteries/veins and holds them all in the shape that is what we are. It is an extremely strong, 3 dimensional, gelatinous web that surrounds everything in our body that allows us to move but also holds us in our shape. It is crucial that it maintains that fluid content in the same way that it is crucial that leather maintains that moistness to remain soft and flexible. If for some reason parts of our fascial system loose that fluid content, it becomes dry, it loses it’s flexibility and pliability and as the fascial system is continuous through the entire body, can affect the biomechanics through the entire body. There is never a predictable way that it can affect the body. Fascia can lose it’s fluid content for many different reasons including trauma, surgeries (joint replacement/abdominal surgeries/child birth), inflammatory responses (IBS, Crohns,Pneumonia) and chronic longer term shortening of tissues (poor posture, sitting), microtrauma to muscle tissue from heavy activity like biking, running, weight lifting. Shortening of the fascia may have occurred recently or may have occurred as long ago as a traumatic childbirth. The body is able to compensate for where ever the fascial restriction are for a long time before the presentations may occur. Two of the most common major presentations of fascial adhesions that I see are low back pain from adhesions occurring at the front of the pelvis/hip regions and back/shoulder/posterior neck pain occurring from adhesions forming at the front of the neck and chest area pulling the head and the shoulders forward. When you are pulled forward by fascial adhesions at the front of the body, the muscles that pull you back up (whether they be the low/mid/upper back or the back neck or shoulder muscles) become strained, fatigue and ultimately produce pain and spams. The main mantra with this work is find the pain but look for the cause elsewhere. In our original training, we were very symptoms oriented and it took a leap of faith to pull myself away from that to move towards this philosophy but it has been so affective. Deal with the fascial restrictions so the body can move in the manner to which it was designed to do. Just let the body move like it should. That’s what it really wants to do. I’m just back from Vancouver having done a 3 day course on Myofascial Release for the Pelvis. From a structural/ biomechanical standpoint, the pelvis is the center of the universe, being the transition between the weightbearing legs/hips and the spine/ torso. What the course reaffirmed for me is that the skeletal system swims in a pool of connective tissue and the skeletal system relies on the healthy state of the connective tissue to move in the manner to which it is designed to. The pelvis is an extraordinarily strong structure but is the fascia that surrounds it pulls it out of position, then it can be the surrounding, weaker systems that can be affected, such as the spine or the hip or knee and even ankle. Imagine if the pelvis is pulled forward and to the left. Obviously we are not going to have our entire body leaned forward and to the left. So what does the torso do to pull us upright? It’s these compensations at the weaker structures, like the spine, that produce the symptoms. It really all is about cause and effect. Often the cause doesn’t produce symptoms but the effect does. In this case, pelvis is the cause (pulled forward and left by the fascia (connective tissue)) and the spine is the effect as it pulls in the opposite direction to pull us back level and the pain is produced around the spine. The properties of this connective tissue is savable for another post. During a really good sale, I picked up a Goretex jacket. Nothing too fancy, just a light shell but it does a really good job of repelling water so it keeps me super dry. What I’ve learned is that I need to continuously wash the jacket to keep oil and dirt off, as they can prevent the jacket from functioning properly. If you have a Goretex Jacket, I strongly recommend going to the store where you bought it and ask about cleaning it as there is a specific product that you can buy to wash the jacket with. It’s a detergent that you put in with the jacket as you wash it like you would normal clothes. It makes a profound difference to the performance of the jacket. If you’ve had the jacket for a while, just washing it may not be enough. There is also a spray that you can purchase to give your jacket that brand new off the rack performance. If you find that the jacket doesn’t bead water like it used to, or that the jacket “sweats” on the inside passing moisture to what you are wearing underneath, it’s the perfect time to do it. The jacket should last you a long long time. Are you looking for a good source of B vitamins? Found this called Nutritional Yeast. It’s been popular for a while. It’s been popular as a cheese substitute as well as it has a nutty/cheesy taste to it. I like it on popcorn. Have a read. Frozen shoulder is becoming more and more of a condition in our society. Another name for it is Adhesive Capsulitis as the sheet-like capsule that surrounds the joint shortens (unable to stretch, as it should with full shoulder range of motion) and restricts the ability for the shoulder to move. The most common lack of motion includes bringing the arm up the side, up in front of you and reaching across your body. It occurs as a secondary effect of poor biomechanics of the shoulder, occurring due to trauma, overuse, muscular imbalance, and very often occurs due to dysfunction of another segment or adjacent segment of the shoulder complex like the neck, midback, collar bone, shoulder blade. Very often when I feel for mobility of the shoulder or parts of the shoulder complex, I’m able to sense how long the shoulder has been stuck for just by how much flex is available in the joint and very often, it feels to me like the shoulder has been stuck from much longer than the symptoms have been present. What can often happen over time is that we are so dominant with using our front shoulder musculature much more often than our back shoulder musculature, and that creates an imbalance (as you prefer equal strength between the front and the back shoulder musculature). The shoulder joint, called the Glenohumeral joint, is considered a joint similar to a ball and socket, like a trailer going on a trailer hitch, but because it is so mobile, the socket is quite shallow, and for that reason, the top of the arm bone (which is considered the ball of the “ball and socket joint” can translate forward a bit, pulled by the tighter front shoulder muscles. There is a little law with the soft tissues of the body called the Law of Adaptive Shortening. The dictates that if the Soft Tissue is put in a shortened position for a long period of time, then little cross bridges will develop between the different surfaces of the tissue and will not allow that tissue to stretch. This is similar to pouring glue on a Bungy Cord and seeing how the bungy cord can’t stretch. So imagine that we have stronger, shortened front shoulder tissue, like the front chest muscles call the Pectoralis muscles. They pull the top of the arm bone forward. This causes pinching of the shoulder and pain occurring at about half of the intended movement of the shoulder. So to avoid pain, you just stop moving the shoulder as much, when you do that, then the tissue become adhered, from the Law of Adaptive Shortening, and slowly all the tissues around the joint like muscles, tendons, ligaments and other connective tissue will shorten all through the entire shoulder complex (neck, upper back, shoulder blade, collar bone ect and all of their muscles, tendons, ligaments ect) will shorten up making the shoulder movement much less and subject to discomfort at the shoulder and at adjacent areas. So the thing about releasing all these tissues and regaining mobility of the shoulder is that you have to think more globally than just where the pain is. Tissue restriction can occur down your arm, throughout the ribs, the shoulder blade can be stuck, the vertebrae of the back and neck can be limited in movement, the collar bone can be stuck, to name a few, in addition to the actual shoulder joint. The tissues that are holding all of these segments has become dehydrated and very tough so patience is required when gaining mobility and rehydrating the tissues. It is not about the pressure to release the tissues, its about the amount of time that you hold the stretch. Many times, it can be 5 minutes or more, of which, the first two minutes there is literally no movement, then slowly the “thawing” begins. This time spent, means the tissue release will be longer and will be better received by the body. I’ve had some really really frozen shoulders, and it has seemed that it has responded really well with this form of treatment. Myofascial Release has really proven to be the more effective form of treatment for Frozen Shoulder. This is probably the most important blog entry for me so far as it is made the most profound effect on my philosophy and treatment protocol. The treatment is called Myofascial Release Therapy. What makes it so significant is what a profound effect Fascial Tissue has the body when the tissue is in a dysfunctional phase. Myofascia is the tough, fibrous connective tissue glue that holds us together. It spider webs throughout our body, forming organ cavities, membranes, coverings for our bones, muscle and circulatory system. It makes up ligament, tendon and scar tissue. Myofascia is made up of elastin, collagen, and a liquid component called ground substance. Elastin provides a degree of pliability to the system. Collagen gives this tissue its strength. Myofascia weaves its way throughout the body in a pattern that is unique to each individual. Unlike the muscles of the body that have a predictable origin and insertion, the route that myofascia takes is determined by each individual’s stress on the body, beginning at birth. This fascial pattern is constantly changing. Physical stress in the form of illness, trauma, and postural changes cause a tightening down of the fascial system. Mental stress has been shown to trigger tightening as well. Over time, this can result in abnormal pressure on the nerves, muscles, bones or organs. We are literally being squeezed from the inside, and numerous symptoms begin to emerge. We may experience pain, loss of motion, decreased energy, difficulty concentrating, and inability to relax and sleep. The myofascia becomes very hard and sticky. It doesn’t allow proper distribution of fluid throughout the body. I think that description is totally brilliant and to the point. One of the important facts about it is that it is totally unpredictable and different for each person so there is no “one way to approach it”. Restrictions in Fascia can great large, traveling up the outside of the leg to the lower back, or can be very focused, as in an adhesion that forms between the vertebrae (bones) in the back, causing one vertebrae to rotate, causing low back pain, sciatica, with a myriad of symptoms that can be local or manifest anywhere in the body. The important thing is to think of the body as a whole. It’s not just a foot, or leg, or pelvis or low back. Very often an adhesion in the body can force the rest of the body to adapt to compensate. For example, if an adhesion form in the tissue and muscles on the right side of your neck and it pulls your head over to the right. The balance system in your inner ear really really wants your head to be level but the tight tissue on the right side of your neck doesn’t let your head level, so your body will choose to do it in another part of your body, like your mid back, or your lower back, and that strain is where your symptoms will be. It’s very unpredictable. I will have several cases of Frozen Shoulder and each one will be treated differently as each restriction in the shoulder will be different. I’ve had to adapt to listening to the body to find out what has to be done and what the body is willing to do at that point. You can’t force a body that is in pain. You have to assist the body, not force it. The next important aspect of Fascia is the physical properties of the Fascia itself. To recap, the Fascia is mainly comprised of Collagen fibers, Elastic Fibers and the fluid ground substance. The important consideration is the extraordinarily high fluid content. This can be applied to the entire body. Do not treat the body like a solid when it is more fluid. The tissues can be like a sponge. When you want it to work properly, like wiping down a counter, you add water to it. Similar to tissue. You want fascia to function well, rehydrate the tissue. That’s a big component of regaining mobility of Fascia, whether it is big, traveling up the side of your body, or a tiny portion that has pulled your neck out of position. The position of your framework (the skeleton) is strongly influenced by the tension of the connective tissue that surrounds it. Imagine wearing a tie or long necklace, learning forward a bit and attaching the other end to your belt, then trying to straighten up, but you can’t because of the tension of the tie/necklace. This is what tight fascia in the front can do. I see a lot of this as we’ve become a society that sits and leans forward a lot, but it’s such a missed component of rehab because often it is the mid/upper back that will be strained and hurt as a result. Just from tight fascia in the front of the torso, can manifest in hip, low, mid and upper back pain, neck pain (as the neck tightens to pull the head level, shoulder pain (as shoulders are pulled forward and cannot move properly without pinching and causing pain down the arm) just to name a few. The essence of Fascial work is to release the Fascia that is restricting the body from moving in the manner that it was designed to move in. The body has an amazing ability to self regulate providing that it has an ability to do so. Allow the joint to move in the manner that they were intended to move in and re-enable the tissues that support them and allow them to move. The other important physical property of the Fascia is the Collagen component. This is the stronger structural component of fascia. When the fascia shortens, the collagen portion will as well. As we apply force to lengthen it, the nature of the Collagen, is that it generally takes at least 1 1/2 to 2 minutes before it even begins to lengthen. As the tissue lengthens, you follow it as it may change directions. Again, fascia is not linear and as it releases, and it’s really about following in the direction that the tissue releases. The time spent releasing the tissues (which can be 3 – 5 minutes) is needed so that the tissue will not rebound and return to it’s original length. It’s not about the deeper pressure that you use, but the time that you spend waiting for the tissue release to occur. It’s about creating a long term effect.